Many people assume farmers reap large financial benefits when they allow developers to install wind turbines on their property. But is this true, or are wind developers taking advantage of farmers? John Droz, see http://www.wiseenergy.org, has done an excellent job preparing a guide for farmers when dealing with wind farm developers, and this article highlights some of the issues involved. Landowners should realize the contracts can severely limit the value of the land, for a long time, possibly beyond their lifetime. Not having the ability to sell the land at the highest possible price, such as to residential developers, could cost the landowner hundreds of thousands of dollars. There are significant differences between a lease and an easement. Typical wind energy contracts may better be described as easement agreements. A lease agreement allows a tenant to occupy the property for a specified period of time. An easement transfers to the easement holder an interest in the real property that encumbers the record title. Terminating an easement agreement can be difficult and expensive. Does the contract commit the developer to protect and defend the landowner’s right to enjoy his own property? Can the developer assign the contract to another party, who the landowner doesn’t know and who may have entirely different ideas about the use of the land, and who may be a shell company without assets? Can the landowner lose some of his land if the developer, or the person to whom the contract has been assigned, defaults on the mortgage? Are the financial interests of the landowner protected? The rent received from the developer may not cover the risks. Is the contract adjudicated in the landowner’s home state, or in Delaware, where many corporations are domiciled? This can place the landowner at a disadvantage. Does the contract prohibit the landowner from making any comments about the wind project? If someone is hurt on or off the landowners property, will the land owner be held legally liable? A failed rotor blade could injure someone off the farmer’s property. These are a few of the important issues, but there are other concerns for the landowner. Some landowners in New York State found that liens had been placed on their property as the result of the developer not paying his contractors. 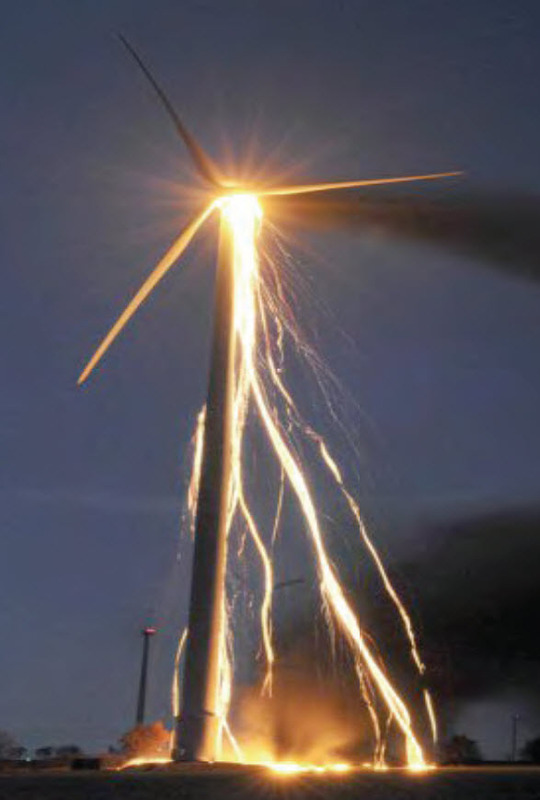 Is the landowner responsible for decommissioning the wind farm at the end of its useful life? The landowner should ensure, if possible, that the wind farm developer incurs the substantial cost of decommissioning the wind farm. Of course, the developer, or anyone to whom the contract has been sold or transferred, may become insolvent. Will the assessed value of the landowner’s property increase after the wind farm has been developed? Is the landowner responsible for any tax increase? Will the placement of wind turbines on a farmers property affect estate taxes? Unsurprisingly, there are farmers who regret signing wind turbine agreements. While it’s up to the farmer to decide whether to enter into any agreement with a wind farm developer, it’s hoped the farmer will read all the information that’s available, and get the best legal advice possible before entering into any agreement. The questions cited here are only a few that farmers should explore. While offers from wind farm developers may sound like free money, there are risks involved. Free wind energy may be too good to be true. Do you want me to erase your comment? Thanks for the comment. I’m sure there are many farmers who are satisfied with their agreements. I’d be interested in your friends comments about such things as who will be responsible for decommissioning the wind turbines. Great to hera from you.